"Our dad started giving to United Way when we were young, and since then, we've been supporting local organizations for many, many years. It’s something we’ve always done." Inspired by Harry Connick, Jr., Branford Marsalis, and New Orleans Area Habitat for Humanity's creation of Musicians' Village after Hurricane Katrina in 2005, Todd became intrigued with his local Habitat for Humanity affiliate here in the Twin Cities. "I’d had a fascination with Habitat for a long time. I’d always been interested in it but never had that courage to do anything about it." The extra push for Todd to get connected to Habitat came about in his role as Owner of Computype, a locally-based family-owned organization focused on providing barcodes and labels to help optimize their customer's business process. "Recently nominated for a business award, Computype was amongst the finalists of nearly 350 contenders," Todd explained. "Another company did a lot more in the community than we did and it became obvious we needed to do more." That "aha" moment, along with his new job responsibilities as community involvement and innovation lead, gave Todd the courage to approach Habitat in spring of 2016. He committed Computype to supporting two Habitat build days, and increased that commitment to four days in 2017. As of 2018, Computype has committed to five days, and both company leadership and employees are looking forward to an ongoing partnership. 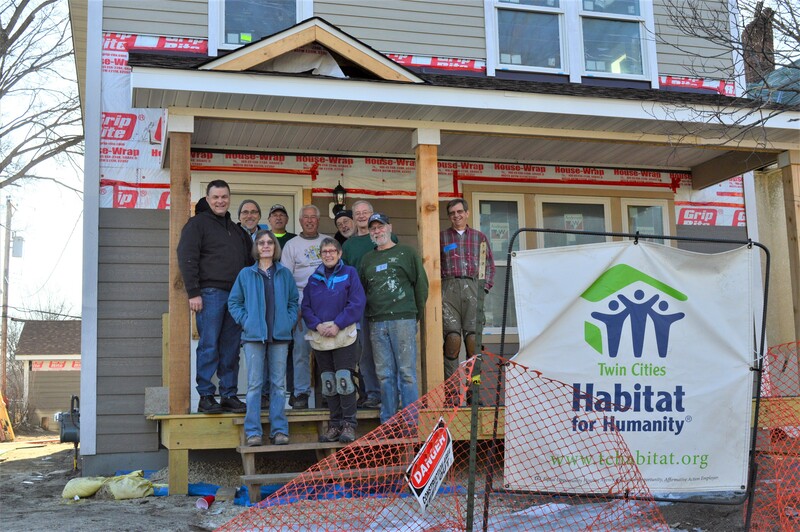 "From a business standpoint, build days with Habitat are a great team building exercise. I challenge you to find a better way to do team building and also do good for the community. We’ve nicknamed Habitat the '1+1=3 charity'. You get people working together that don’t get to work together, doing well in the community. 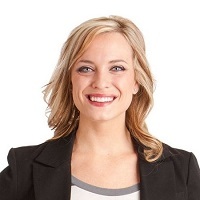 It helps us get more innovative and outside of our comfort zone." Todd has enjoyed his work with Habitat so much, he joined Bud's Bunch, a crew of regular volunteers that help out on Habitat build sites. "The people are great. The mission is great. It’s an honorable thing." "When we [Computype] decided to go more in on Habitat, I switched my giving," Todd said. "I feel connected to Habitat because of all the things they do, and I support their mission. If we didn't give, they wouldn’t have any money to build houses." 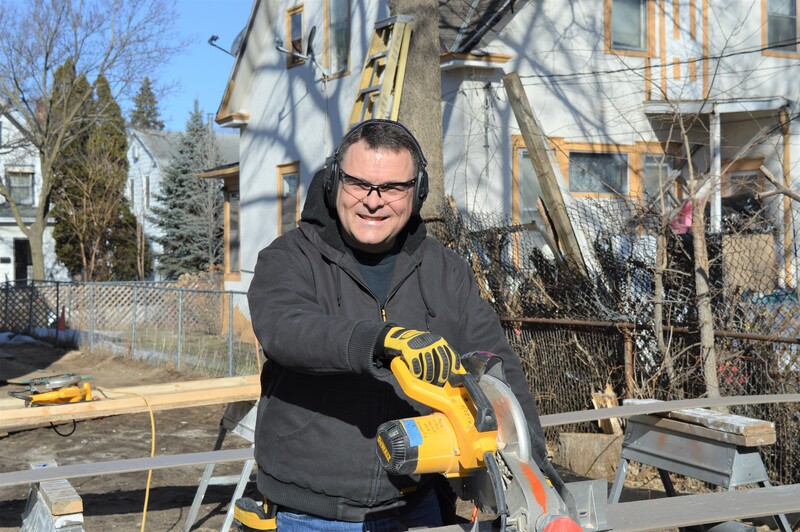 Todd and his wife Renee are recurring donors, and members of Habitat's Carpenter's Club—a group of generous people making ongoing sustaining gifts in support of Habitat's work in the local community. "We are grateful for the critical support that Carpenter’s Club members like Todd and Renee provide Habitat for Humanity," reflects Cathy Lawrence, Vice President of Resource Development and Community Engagement. "One of the biggest things we depend on as an organization is consistency so that we can continue to build all year long and properly plan for greater community impact. I am inspired by this unique group of loyal donors who believe so deeply in our work as to give on a regular basis, providing core funding to help us build strength and stability in partnership with more families." 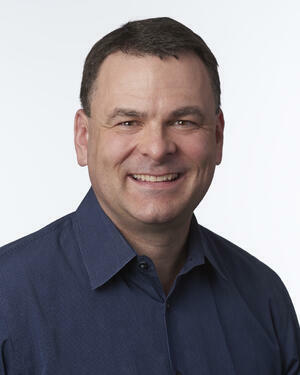 Todd is proud that both his family and his company give time, talent, and treasures in support of Habitat's mission. He also feels that making an ongoing commitment is the way that they'll really be able to make a difference. Plus, it fits the company's mantra of doing things that are good for the head, heart, and soul. "Right now, housing out of reach in this community. The need is great. You have to keep asking what more can we do?" 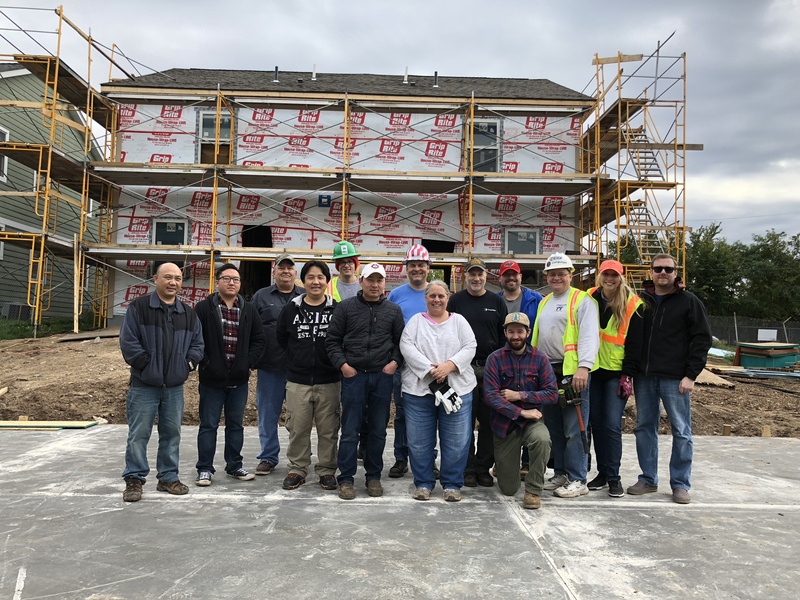 Though both giving financially and volunteering are incredible impactful elements of Habitat' work, Todd says that meeting the future homeowners of the homes he has worked on it the most rewarding part of the experience. "When you meet the homeowner of the house you’re working on, that experience is worth its weight in gold. These homeowners are extraordinary. Their house isn’t given to them. They earn it. You have to be a pretty special person to run that gauntlet and put that work in." Todd says you also have to consider the impact of what a stable home can do for a family. "With Habitat you get a 30-year mortgage and you know you get to live there for 30 years. When you know you have somewhere to call home and raise your family, you can do your job better, take care of your finances better, and so on." We need more people like Todd to help us reach our goal of doubling the number of homeownership opportunities for local families. People who not only support our mission by giving financially, but also people ready to take action - volunteering, advocating, fundraising, and activating their networks to help create change.